Home Blog Security LAN Security Protect the Control Plane – part 1, trivial attack. Protect the Control Plane – part 1, trivial attack. How many of you use the control plane protection features given by vendor with the benefit of inventory? From what I see mostly, is very very rare practice to use CoPP. Most of network people haven’t even heard of it. “Because my network performs well, why should I protect control plane?” I need to start with few words about what control plane (CP) is. CP is the area of device logic responsible for taking decisions, process protocols (routing, switching), responds to requests (i.e. icmp echo reply), shortly CP is like brain of the device (you can also think of CP as CPU – in some reason this makes sense). As now it is becoming clear, we have something important to loose when CP is not properly protected. I will give you quick example. Having high end well known platform Catalyst 6509 of Cisco as stable core of network and any other device / pc which can generate icmp packets, I will shou you how quickly the core can become weak and unstable. 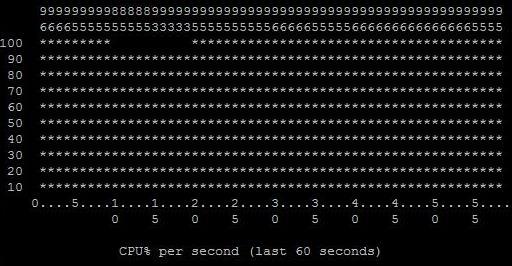 Just look at that, we cause the CORE platform to utilize the CPU up to 97% sending only 12000 size PING packet. Now you can imagine what if the CORE would handle multiple BGP sessions, OSPF sessions or perform other CPU related functions simultaneously? Note! In the next article, namely “Protect the Control Plane – part 2, CoPP.” I’m showing how to quickly prevent the cause of potential network and services damage. Protect the Control Plane – part 2, CoPP.